Married at First Sight rose to become the top Reality show of the night, with 1.08m viewers last night -pipping MasterChef by just 1,000 viewers. On Q & A observers were intrigued by Bronwyn Bishop’s direct criticism of panelist and Human Rights Commissioner Gillian Triggs. “It has made you a very political figure. Therefore, you are subject to criticism,” she said of her report into children in detention. But Nine took the night with a 28.7% share then Seven 24.7%, ABC 21.8%, TEN 20.6% and SBS 4.6%. Nine News (1.2m / 1.15m) topped the night. Next for Nine were Married at First Sight (1.08m), A Current Affair (1.04m), Reno Rumble (735,000) and Hot Seat (667,000). Footy Classified was 245,000 in 3 cities and Blinging Up Baby was 160,000 in 2 cities. Seven News (990,000 / 953,000) was under the magic million. House Rules was second in its slot on 907,000 then Home and Away (746,000), Revenge was 520,000 / 459,000 and Million Dollar Minute was 515,000. How to Get Away with Murder was just 144,000. Talking Footy was 16,000 in 2 cities (88,000 on 7mate). Australian Story (900,000) led a consistent night for ABC, followed by ABC News (882,000), 7:30 (838,000), Four Corners (836,000), Media Watch (809,000) and Q & A (664,000). MasterChef Australia (1.08m) won its timeslot for TEN. The Project was 723,000 / 514,000, TEN Eyewitness News was 646,000, Have You Been Paying Attention? was 592,000 and Movie: The Guilt Trip was 182,000. A repeat of the elegantly titled Michael Mosley: Pain, Pus and Poison pulled 233,000 on SBS ONE then SBS World News (165,000) and Operation Maneater (141,000). Death Row was 125,000. Ben & Holly’s Little Kingdom topped multichannels on 274,000. 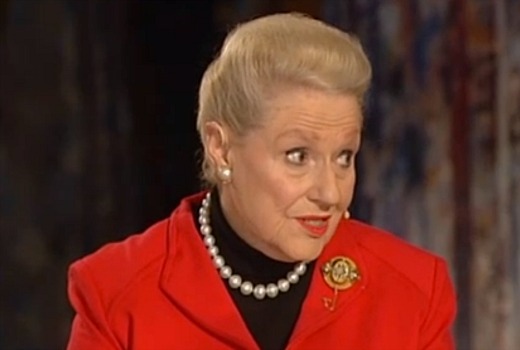 I”m a political junkie, and seeing Bishop and Triggs on the same panel was rivetting telly. To both their credits, they were eloquent and calm, and it made for tense, unmissable viewing. None of the issues have been resolved, but its great television. I felt Bishop had none of the warmth of her Disney counterpart. However, I felt that Triggs should have been the one to say “Let it go” to Bishop. Very impressed by Triggs – articulate and genuine. Gillian Triggs and Noel Pearson were the stand-out guests on Q & A last Monday. Noel spoke some home truths about his people’s plight and all Bishop could come up with was the reference to the few “token” aboriginal people who’ve made it into the political arena. And if anyone noticed Bishop’s facial expressions whilst Noel Pearson or Gillian Triggs were speaking, it showed a thinly-veiled contempt for what was being said by Gillian and Noel. Media Watch must have been boosted due to the 10Fox news yesterday.